With the beginning of 2015 just days away, it’s time to look back at some of the best smartphones released this year – and there’s quite a list to choose from. What follows are some of the biggest (in more ways than one) devices to be released in 2014, in no particular order. A lot will be familiar; 2014 was the year of incremental upgrades for many device makers, like Samsung and HTC. 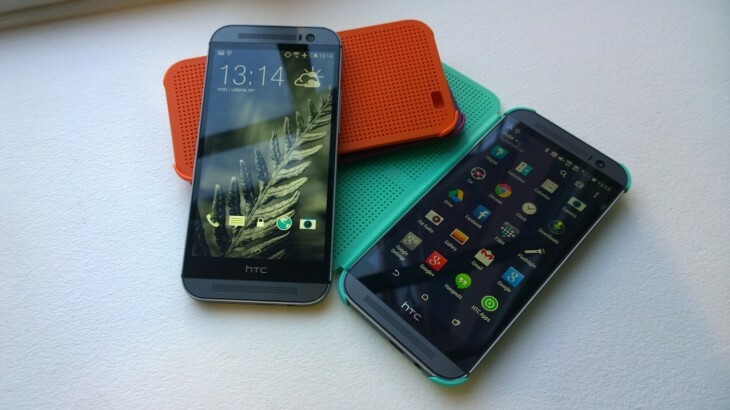 Back in March, HTC lifted the lid on its heavily leaked HTC One M8 smartphone, the successor to the well-liked original HTC One (M7). It brought an upgraded 2.3GHz processor, larger 5-inch 441 PPI (pixels per inch) display and HTC’s new dual-sensor Duo camera on the rear. While the smattering of changes added to the overall experience in comparison to the original, the minor cosmetic tweaks and iterative hardware upgrades left us feeling like we were in very familiar territory, for better or worse. 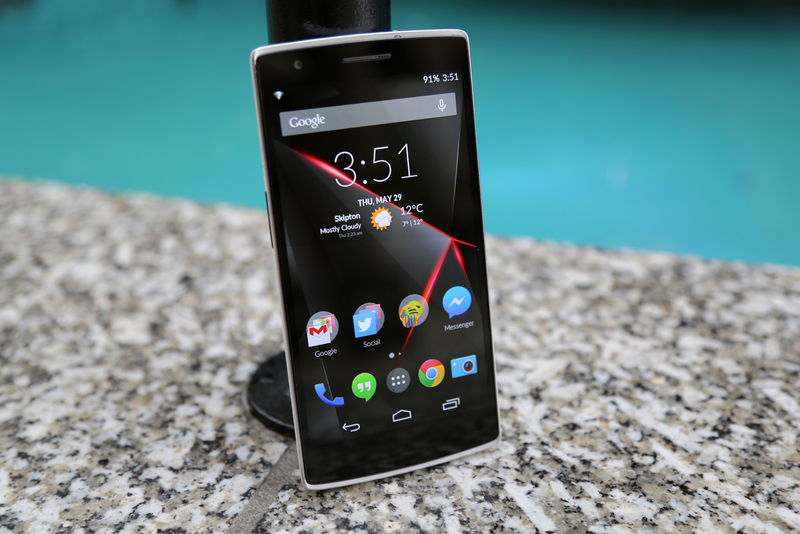 Nonetheless, as a solid and dependable workhorse, it was still one of the best devices to launch in 2014. 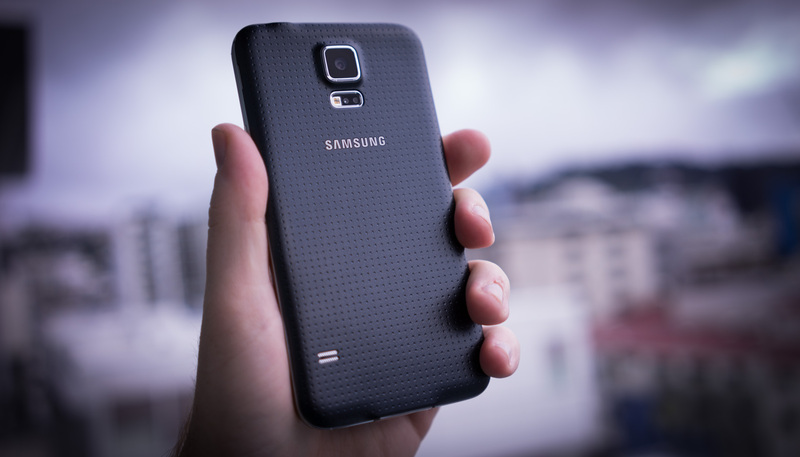 In February, Samsung revealed the next device to join its successful line-up of Galaxy smartphones – the Galaxy S5. Alongside iterative upgrades like an improved processor, larger (5.1-inch, 1080p) display and a slightly tweaked appearance (aimed at making it look less plasticky and cheap), the company also included more bespoke features like a heart rate monitor and a wealth of camera options. It was also one of 2014’s best water resistant and dust-proof phones, going up primarily against Sony’s line-up. 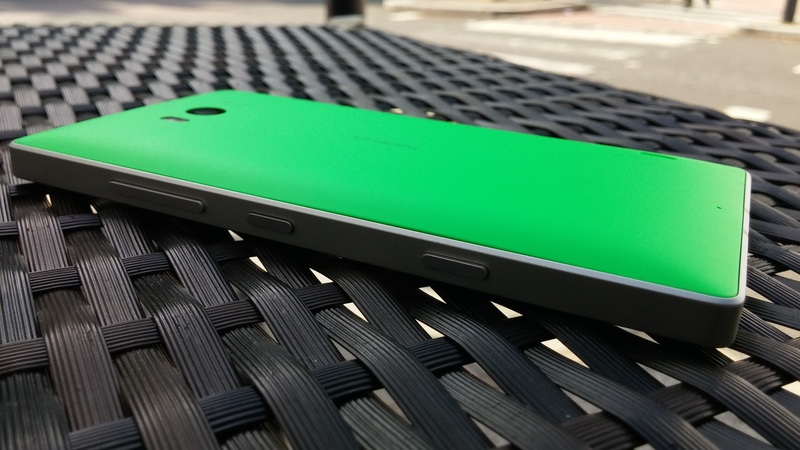 The Nokia-branded Microsoft Lumia 930 may well have been the product of a company in flux, but the end result is one of the best – if not the best – Windows Phone devices money can buy. While it doesn’t sport the 40-odd megapixels of the Lumia 1020, it’s a whole lot more usable as an actual phone, rather than being a camera first and communication device second. This makes for a considerably more compelling reason to buy the phone, and it still offers an excellent 20-megapixel camera. Although it’s a brilliant Windows Phone – and was the first to arrive with the more customizable Windows Phone 8.1 operating system – there’s still a Android and iOS-first developer mindset that users will have to endure. That said, there’s a far better selection of apps than previously, so you should mostly find what you want. Perhaps the one downside is the relatively limited 32GB internal storage, with no option for expanding this via microSD. The LG G3, announced and released in the first half of 2014, is quite simply the best smartphone LG has ever made – and even six months later, it can still run with the newer rival flagships. 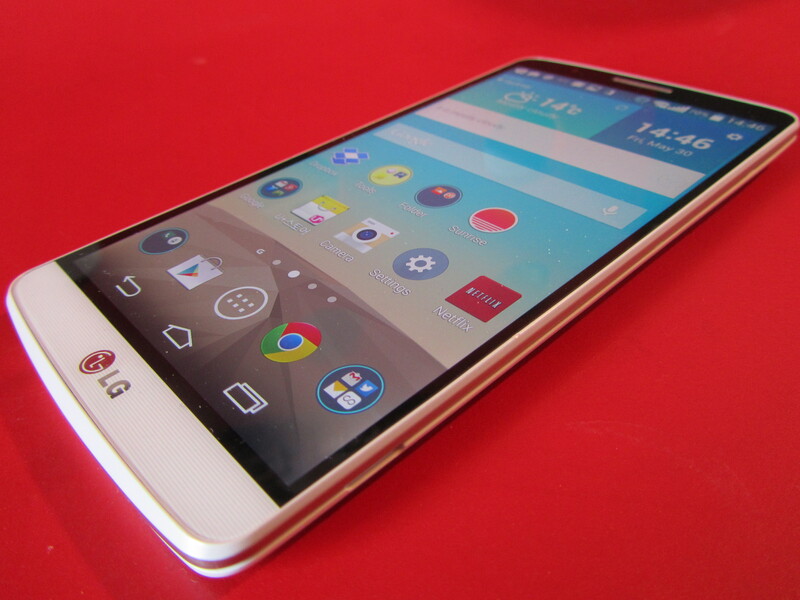 Picking up where the LG G2 left off, the G3 brought a 5.5-inch full HD display packed into a chassis size that would traditionally house a 5.2-inch display. Similarly to Samsung in 2014, LG’s G3 sought to replace the plasticky looks of the G2 with a more refined appearance, although it stopped short of providing the single-piece metal shells of the HTC One (M7/M8) or iPhone. Instead, it uses a polycarbonate combined with a layer of scratch-resistant material called a ‘metallic skin’. It’s not actually metal though. Whether you appreciate the placing of the power and volume buttons on the center of the rear casing is another question. Battery life could have been better though. With microSD expansion, a better-than-average-if-not-stellar camera, solid hardware and software tweaks that (mostly) make sense, the LG G3 was one of the surprise hit handsets of 2014 for me. 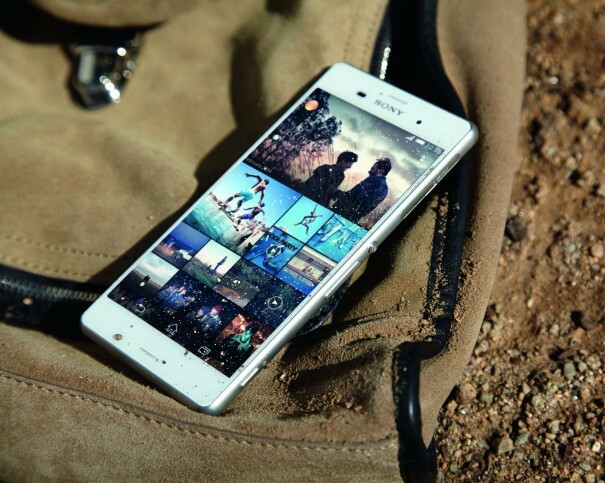 The Xperia Z3 had big boots to fill this year, following the successful Xperia Z2 in 2013. Despite having a lot to live up to, the Z3 managed to arrive smaller, thinner and lighter than the previous model – and yet still managed to pack in the same size display, which is pretty impressive. We were less keen on its slightly ‘anonymous’ appearance, but aesthetics aside, its stunning display and 2.5GHz quad-core chipset paired with 3GB RAM keep things ticking along nicely. There’s also a microSD expansion slot and, just like the S5, it’s waterproof and dustproof, making it more robust than most slim-line devices. It’s not particularly ‘rugged’ though, so don’t go throwing it across the room. If 5.2-inches seems like a bit more than a handful, there’s also a smaller Z3 Compact model with a 4.6-inch display. The Motorola Droid Turbo is the only device in this list to be tied to just one operator in the US – in this instance, Verizon. Nonetheless, if you’re a Verizon customer looking for an upgrade, the Droid Turbo should be a definite contender for your top spot. While it’s similar to the Moto X (Motorola also revamped and improved the Moto X this year if the Droid Turbo isn’t an option), it packs a 21-megapixel camera sensor and whopping 3,900mAh battery for a claimed 48-hour life from a single charge. Other key specs of the Droid Turbo include a 2.7GHz Qualcomm Snapdragon 805 processor, 3GB of RAM and a choice of 32GB or 64GB of internal storage. 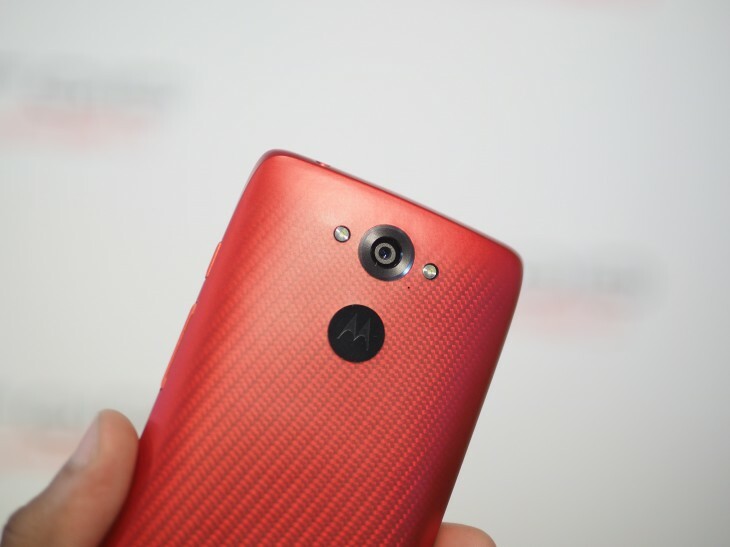 If you’re in Latin America, you can find a version of the Droid Turbo on sale under the moniker of Droid Maxx. 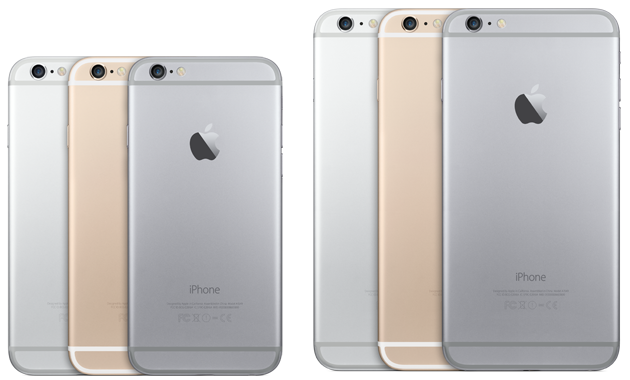 While the arrival of Apple’s iPhone 6 and 6 Plus models this year got off to a bumpy (or should that be bendy?) start, it would be remiss to leave the duo out of any best smartphones list. Announced in September, the iPhone 6 and 6 Plus bring pretty much the same core experience and design, with the obvious difference being that the Plus is its 5.5-inch display, versus the 4.7-inches of the iPhone 6. Both models include Apple’s ‘reachability’ feature that’s designed to make it easier to operate a large smartphone with one hand. Alongside a refreshed iOS experience and a few new core features, the iPhone 6 and 6 Plus also both include upgraded processors and other core internals. More than that though, the camera performance took a step forward – particularly the optical image stabilization on the 6 Plus. That’s actually one of the few features not shared by both devices. The size of the new generation may have been a shock at first, but our reviewer certainly grew to love it. Awkward queuing system and ill-conceived marketing strategies aside, many people have been clamoring to get their hands on a OnePlus One smartphone in 2014. And for good reason too – the device offers an awful lot of bang for your buck – $299 or $349 depending on internal storage. The One features a curved black plastic panel to help you keep hold of the rather large device – it packs in a 5.5-inch display but is larger and heavier than the comparable LG G3. Other key specs include a quad-core 2.5GHz Snapdragon 801 processor, 3GB RAM and a 13-megapixel Sony Exmor sensor on the rear. Unlike any of the other Android-based phones in this list, the OnePlus also arrives running the Cyanogen mod version of Android. It’s a shame that questions have been raised about the marketing tactics and which OS the device will use in India going forward, as the hardware itself is a pretty compelling package at that price point. The Motorola-made Nexus 6 packs some seriously impressive specs that include a 2.7GHz quad-core processor, 13-megapixel camera and massive 6-inch quad HD display. It was also the first phone to arrive running Lollipop – the newest version of Google’s Android OS – out of the box. Quite unsurprisingly given its lineage, the Nexus 6 bears more than a passing resemblance to the Moto X, which is mostly a good thing. However, while it delivers on specs, it’s one of the first handsets in the Nexus line to come with a fully premium price tag – $649 for a smartphone can’t really be considered cheap by anyone. By contrast, the Nexus 5 started from $299 in 2013; still, it’s no more expensive than other comparable high-end devices bought off-contract. 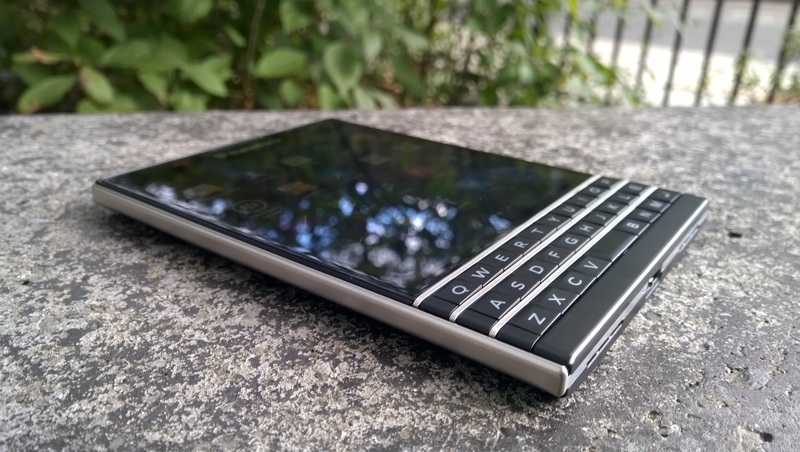 Including any BlackBerry in a list of the best smartphones of 2014 might seem odd to some people, but the BlackBerry Passport is easily the best BlackBerry 10 device on sale today – and for people who are more interested in pure communication tools, rather than endless apps and entertainment, the Passport should still be in any smartphone short list. Just because the Passport wasn’t really conceived with Netflix consumption in mind, BlackBerry didn’t skimp on the hardware side of things, so you’ll find a 4.5-inch 1,440 x 1,440 pixel (square) display with 453PPI. That’s enough to keep things sharp, and the square aspect ratio has been designed to show you more text in an email or on a webpage. On the rear, there’s a 13-megapixel camera, although results were distinctly average in our own testing. Where it truly comes into its own – particularly if you’re a fan of hardware keyboards – is when you use it for communication. The BlackBerry Hub helps you keep on top of things by centralizing all your communications in an organized and orderly manner. With the Amazon App Store providing Android apps to run on the BlackBerry 10 OS, there’s a far wider selection to choose from now too. 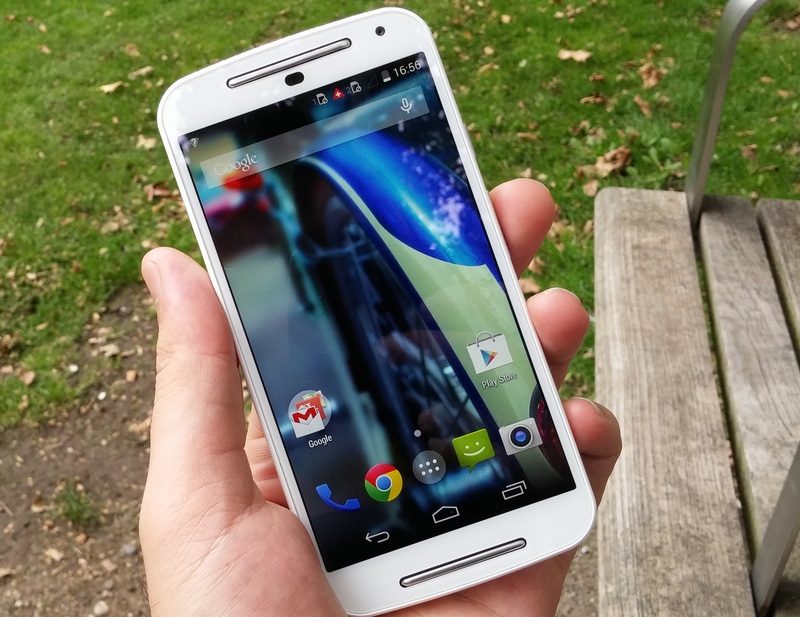 The original Moto G in 2013 was a decent low-cost Android handset that suffered in a few key areas. The 2014 version rectified some of these issues, upped the specs and, as a result, became on of the best value Android handsets that money can buy – provided you don’t need 4G LTE. For that, you’ll still need the original 4G-equipped Moto G, which was also introduced in 2014. It wouldn’t be too surprising to see a new 4G-enabled version arrive sooner or later, though. Key specs of the $180 (~£140 in the UK) SIM-free device include a 5-inch 720p display, dual speakers, dual SIM slots, a microSD expansion port and a 1.2GHz quad-core CPU. Motorola also took the time to improve the performance of the camera and increase the megapixel count from five to eight. All in all, it’s hard to beat a package that offers so much and asks for so little.